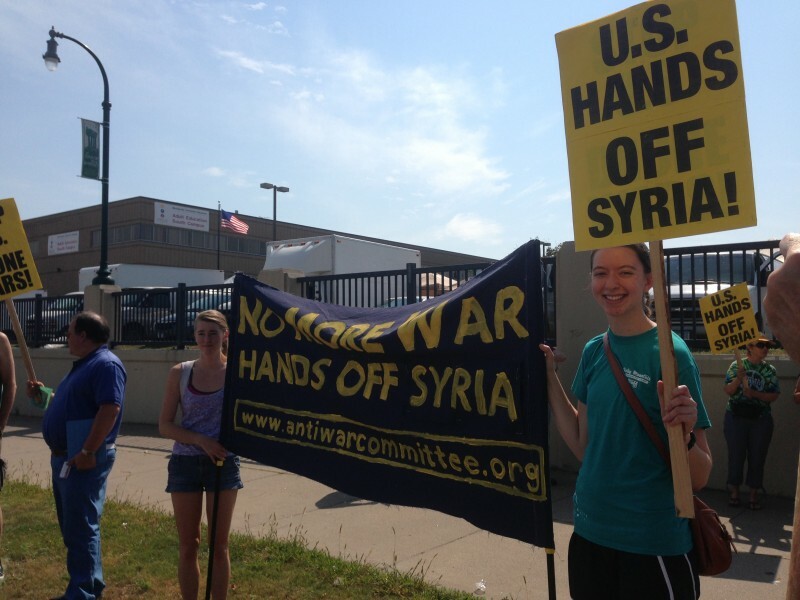 300-plus join Minneapolis protest telling congress to ‘Vote no on war’ | Fight Back! Minneapolis, MN - More than 300 people joined a spirited protest here, Sept. 7, to demand that Congress votes against a war on Syria. 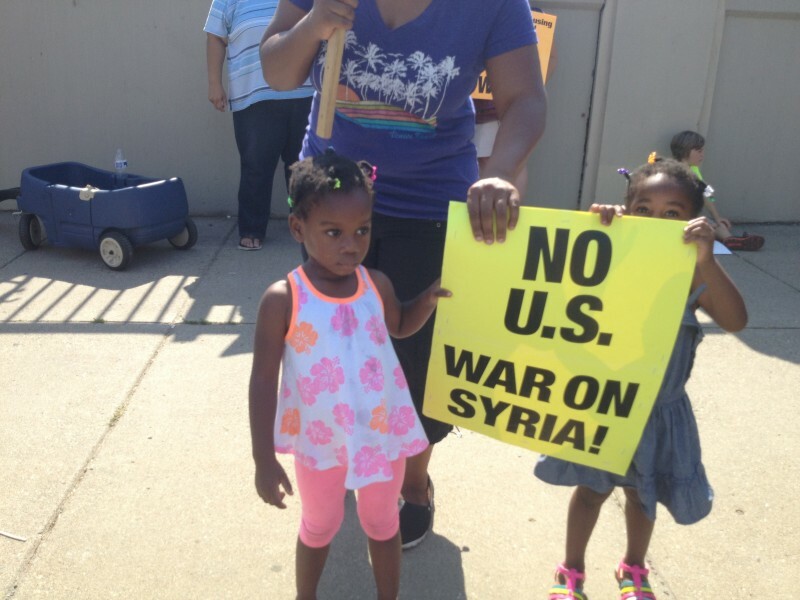 The Obama administration will be seeking a resolution in support of a military attack on Syria in the upcoming week. Carrying signs and banners, protesters chanted “1,2,3,4, we don't want another war, 5,6,7,8, vote no, it's not too late,” receiving the support of many of those passing by. 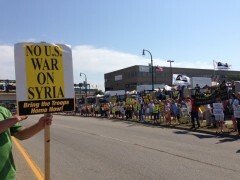 The protest was initiated by Minnesota Peace Action Coalition and endorsed by Anti-War Committee, Twin Cities Peace Campaign, Veterans for Peace, Women Against Military Madness and others.